As a biomedical engineering major, everyone said that it would be virtually impossible to find an engineering study abroad program. It’s notoriously difficult for engineers to go abroad, so I was afraid that all of the rumors were true. However, if you read my last Chats with Kat post, you would know that I will be going abroad next semester! I have accepted my place at the University of Sheffield for Spring 2018, and I. Can’t. Wait. I’m not going to lie – the process was pretty stressful. But I’m also here to tell you that it isn’t impossible. Today I’ll just be sharing the first steps of the whole process (buckle up kids – grab a coffee cause it’s a long one! ), but I’m hoping to open this up as a series about my study abroad experience from the beginning to the end. I am super excited to share this series, in the hopes that you’ll find some inspiration to start looking into study abroad too! First of all, the biggest misconception surrounding engineering majors & studying abroad is the lack of options. Options exist, people! You just have to be diligent enough to find them. Check to see if your school has direct partners in different countries. This is a great option, because there’s already an established relationship with the institution abroad. With partner institutions, more often than not there’s another student walking around campus that went to your dream school, and you can hit them up with any questions you have. There’s also a chance it’ll be easier for you to find courses that transfer, especially as an engineering student. In the event you don’t have a direct partner school that works for you, look at providers! Providers don’t always have the best selection for engineering study abroad students, but there are advisors that guide the process every step of the way. Plus, providers often have planned trips with other students, so it’s much easier to make friends during your time abroad. One of the provider programs I considered was University of Limerick (AIFS). They had a ton of engineering courses to choose from! Finally, the last option is an exchange program. With exchange programs, you pay your home university’s tuition for your studies abroad. The only out-of-norm costs are personal expenses and housing, which can be a huge money saver. Because of this, I decided to go through the Global Engineering Education Exchange program, or Global E3 for short. 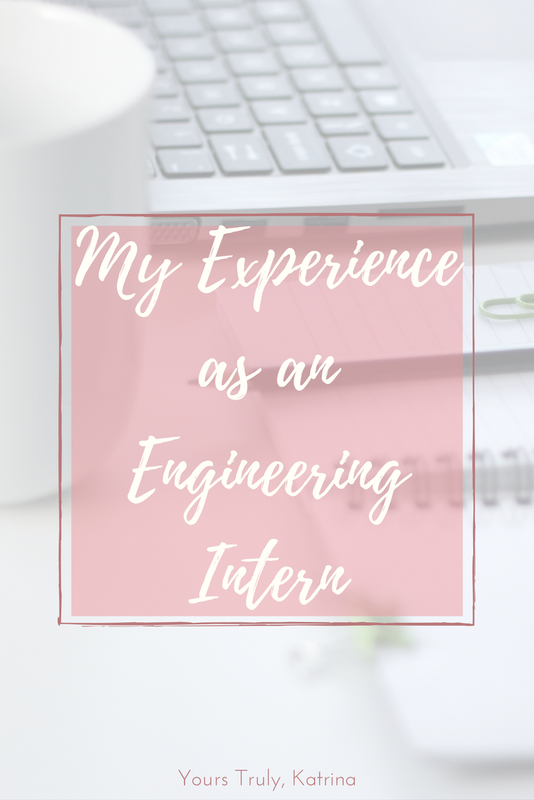 I was also able to pick from schools with an engineering focus, so it was kind of a match made in heaven for me. After deciding which program is the best fit, it’s time to start the research work! I write this in, like, every single advice post, but hear me out: research is key to a smooth study abroad process. Why? Because doing so will ensure that you and your program are a great match, and the work now will save you tons of stress later. After deciding on Global E3, I made a spreadsheet of the schools I could potentially go to and did extensive research on each. 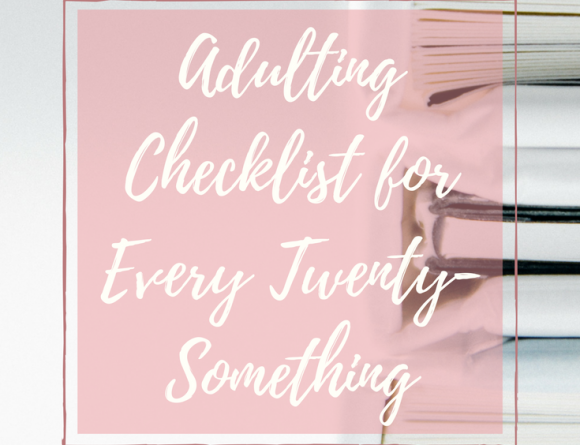 I had my heart set on going to Europe, so I focused all of my energy on that area, but depending on what your priorities are (expenses, program options, etc) it might be a good idea to consider out-of-the-box places as well. In the end, it’s important to prioritize the things that matter to you, because it’s your experience! For me, the most important was making sure that my classes transferred, so I spent a lot of time looking at the offered courses at different schools. Surprisingly (or not surprisingly), it’s pretty difficult to find equivalent engineering study abroad courses, so this requires you to get your hands dirty. Make a list of the courses you need to take for your degree, and compare it to the course catalogue at your desired school. Yes, it’s time consuming, but so worth it. I had to cut a lot of schools due to a lack of available courses, which sucked, but it would have been awful to finish study abroad only to find that I’m behind in my degree! That’s a lot of essays! As a result, I agree 100% with any study abroad 101 guide that says to start applying early. I looked up the application questions before they were even open and started my essays right away, which saved me time during the middle of the semester. 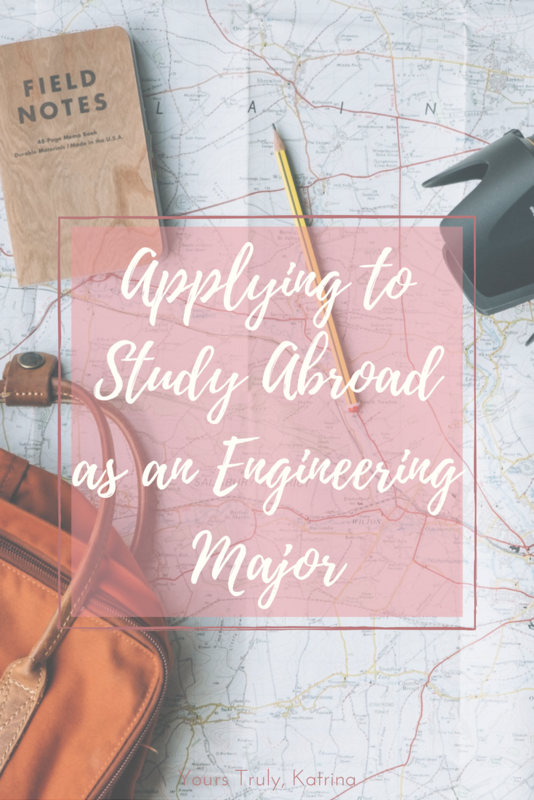 Amelie from A Wanderer’s Adventures has a great post about applying to study abroad over on her blog, so I recommend checking that out as well! I also suggest making time to meet with your academic advisor (multiple times!) to go over your decision/potential courses and for recommendation letters. This was a requirement for my school’s application, but I think it’s essential no matter what. Plus, it was nice to know that my advisors were there for every step of the process! Also, in the case that you choose Global E3, don’t panic if you don’t hear back right away! Keep in mind that their offer letters are issued late into the semester. I received my offer letters just this week! This was super frustrating, because my friends at other schools were all getting their study abroad acceptances while I still had no idea. Okay, this is the interesting part. No application process is ever going to be perfect, so it’s totally okay if you hit some bumps along the way. My biggest “bump” was submitting part 1 of the 3 part application process only to find out that my top school choice had closed acceptance of students. They just weren’t going to be a part of the GE3 program for that semester anymore, and I had to re-do everything. Sure, it was a nightmare, but I felt prepared because I had a Plan B! Before the beginning of the process, I did the research for two schools that I loved, and mapped out courses for both options. My school’s study abroad office told me it was overkill, but I’m so glad I didn’t listen to their advice. Because I was prepared, I was able to readjust my applications and send them out within the timeline I had planned for myself. 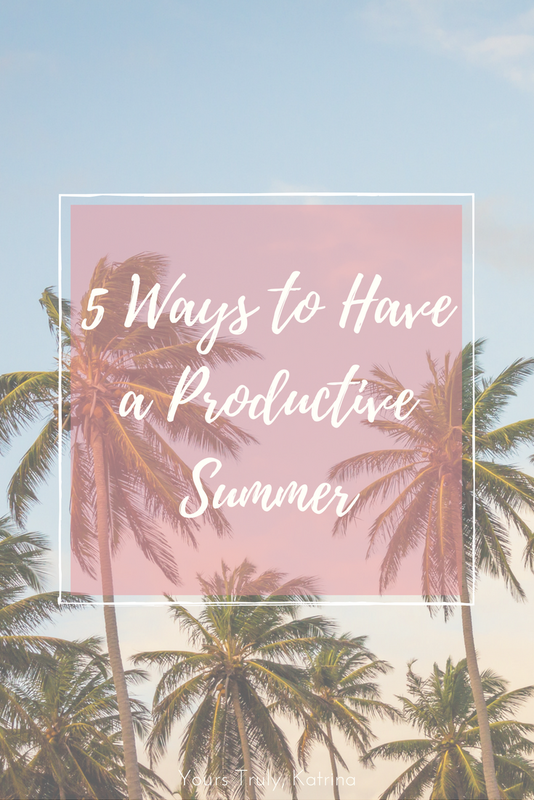 If I hadn’t “gone overboard”, I probably wouldn’t be writing this post today! Make backup plans for your study abroad semester, because you never know what could happen. With this whole process behind me, it’s all starting to become real! I really hope you enjoyed this post, and that you’re looking forward to more engineering study abroad content just as much as I am. Are you an engineering student that studied abroad? What kind of travel content would you like to see from me?